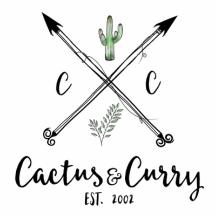 Homeschoolers - Cactus and Curry - Get your bloom on! When we decided to start homeschooling our 3 youngest children, so many people said, "Are you crazy? ", "You will regret it! ", "You're not qualified! ", "What are you thinking?" There were several reasons that we decided to begin this adventure in education, which I will not into great detail about. But once we decided to do it , we went for it! And yes, I have to say it has it's challenges, but in comparison to all of the positives, it has been a huge blessing! Our kids have flourished immensely and no longer have issues concerning bullying, difficult testing and being left behind in a challenging subject. Their self esteem has grown and they have much more confidence in their abilities in all areas of their lives! And besides, with all of our travels, the world is a big part of their classroom!